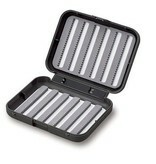 The C&F Design CF-1566 small Fly Fishing Box is lightweight and perfect for carrying a variety of fishing flies. C&F Design has a range of beautifully designed fly boxes. 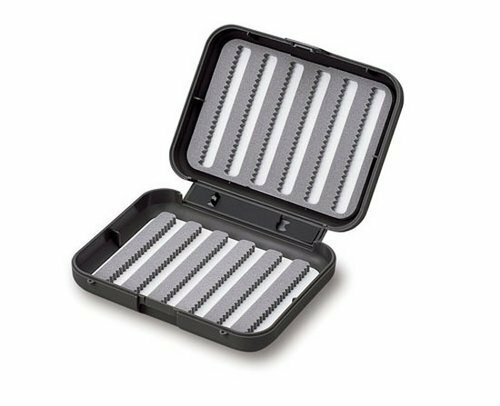 These lightweight, rigid polypropylene plastic boxes are perfectly detailed with rounded edges and a recessed latch which lets you easily slip into your shirt or vest pocket. A small slit foam fly box with 6 rows of MSF on each side. It is ideal for fly sizes #14 - #20 and will hold up to 264 patterns. Clip holder for a C&F nail knot pipe (CFA-11) sold separately.